BlackBerry's patents might be the most valuable part of its struggling business. Fairfax Financial says it wants to buy BlackBerry, but skeptics think the offer is merely meant to start a bidding war -- namely over BlackBerry's valuable patent portfolio. Fairfax, a Canadian insurance company that is BlackBerry's largest shareholder with a 10% stake, said Monday that it hopes to buy the struggling BlackBerry. The proposed offer is for just $9 a share, or $4.7 billion. That offer might seem high given that BlackBerry (BBRY) has been limping along for years. But its patents alone are worth an estimated $2 billion to $3 billion, and smartphone patents are in high demand. BlackBerry's valuable patents: If anyone does buy BlackBerry, most of the value would be found in the company's patent portfolio. Chris Marlett, CEO of MDB Capital Group, an intellectual property-focused investment bank, values Blackberry's patents at $2 billion to $3 billion. 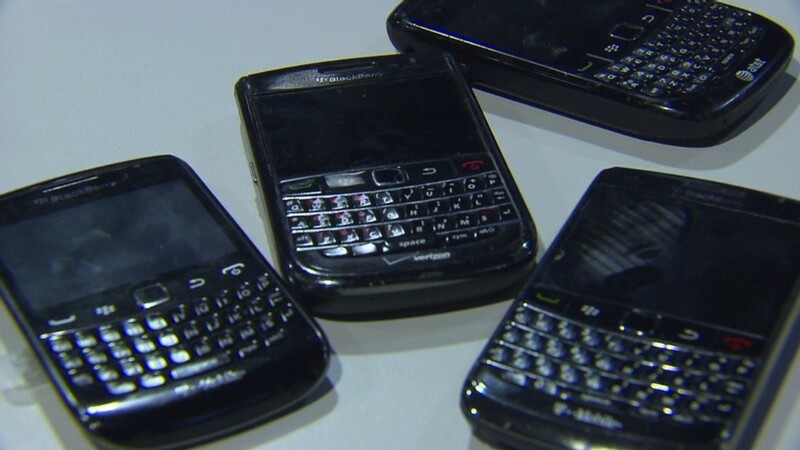 "At this point, [intellectual property] is such a large percentage of BlackBerbry's value because their business is falling apart," Marlett said. "There's little value for the company's actual hardware business, given its problems." BlackBerry's patents, which Marlett called "the last big portfolio likely to go to sale anytime soon," would give any buyer a massive advantage in the competitive and highly litigious world of smartphones. The never-ending Apple v. Samsung lawsuits underscore the value of such a portfolio. But Marlett warned that patents aren't as valuable today as they were even two years ago, when a consortium led by Apple (AAPL) and Microsoft (MSFT) bought Nortel's patent portfolio for $4.5 billion. The 2011 patent market was a "bubble," he said, a year that included Google's (GOOG) purchase of Motorola Mobility. Plus, BlackBerry's patents generally aren't considered as essential as those in the portfolios of its rivals. What's the rest of BlackBerry worth? Anil Doradla, a stock analyst at William Blair & Company, splits the rest of BlackBerry's business into two parts. BlackBerry's "hardware, infrastructure and operating system" are worth another $2 billion, in Doradla's view. The third sector is BlackBerry's estimated 60 million subscribers, but that's tough to value "given that a buyer doesn't know if those subscribers will be around in a month." In addition to those business sectors, BlackBerry had $2.6 billion in cash on hand at the end of last quarter. But the company blew through $500 million in that three-month period. Analysts think Fairfax discounted most of the cash hoard in its proposed offer, since BlackBerry will likely continue to blow through that when it comes time to pay for expensive downsizing and restructuring costs. On the upside, David Braun, the CEO of IP-focused investment bank Capstone, noted that BlackBerry's balance sheet is pretty healthy, with little debt or liabilities weighing the company down. He set a fair price for BlackBerry at $6 billion. Who might bid? Marlett thinks a Nortel-style consortium is a likely solution for BlackBerry's patents, at least, even if Fairfax does buy the overall company and sell off its parts. "A Team Apple or Team Google, for example, would have the resources to buy these patents," Marlett said. "And then everyone wins if they can come to an agreement for a bunch of folks to license the patents." A possible bidder for BlackBerry as a whole is less clear. One potential buyer is BlackBerry co-founder and former co-CEO Mike Lazaridis, who reportedly wants to save his baby. Late Friday, the New York Times posted a report saying Lazaridis had approached private-equity firms about making an offer for the company. "You really have to question who is the best fit," Braun said. 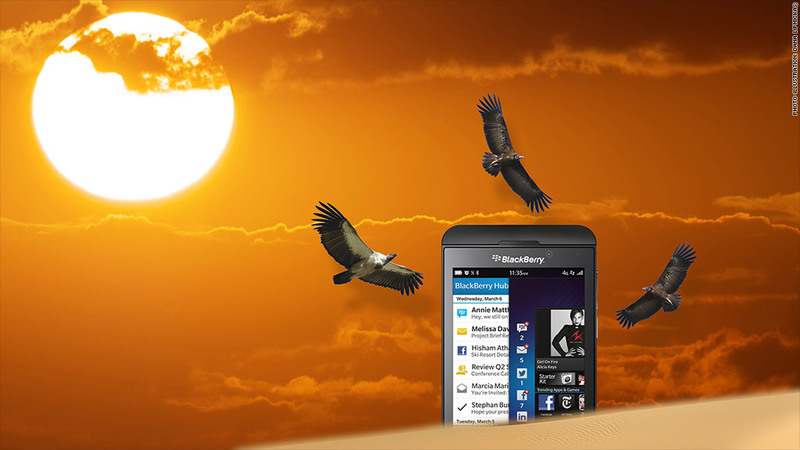 "A lot of companies have the money and the markets; Blackberry needs the vision. And that's where I struggle. They need someone who knows where to take this company next." Braun pointed out that Microsoft "is angling to figure out hardware," and other analysts have also suggested that BlackBerry and Microsoft could help each other. But Micro-Berry may be less likely given that Microsoft bought Finnish smartphone maker Nokia (NOK) just this month. At the end of the day, said Doradla, the William Blair analyst, BlackBerry is worth something only if a willing suitor can see the value. "You have to ask yourself, Why are you acquiring this company? What can it do for me?" Doradla said. "We can say the patents are worth this amount and the email system is great, but what BlackBerry is worth depends on who acquires it."